all relating to the physical, psychological, social, and aesthetic aspects of personal appearance and self-presentation in all walks of life. The Institute of Image Management is a full-service image consulting firm, dedicated to developing people. The Institute of Image Management is the most comprehensive image management company in the field working with business, industry, university, government, church, and civic organizations, as well as individuals. For each client, we research and customize the program or service to deliver extraordinary results that meet and exceed expectations. With each program or service, we include attention-getting interactive exercises, assessment instruments, and print materials for clarification and continued learning. Judith Rasband is engaged in the development of innovative educational concepts, strategies, systems, materials, seminars, workshops, short courses, special events programs, individual services, and private consulting, all relating to the physical, social, psychological, and aesthetic aspects of personal appearance and self-presentation in all walks of life. The Institute of Image Management is a full-service image consulting firm, the most comprehensive image management company in the field working with business, industry, university, government, church, and civic organizations. For each client, we research and customize the program or service to deliver extraordinary results that meet and exceed expectations. With each program or service, we include attention-getting interactive exercises, assessment instruments, and print materials for clarification and continued learning. The Conselle Institute offered the first training program in image consulting—an educational-training committed to educating professional image consultants to succeed in business over the long term. The Institute is known for expertise and advances in image education, non-verbal communication through dress, business casual issues and solutions, self-branding, personal and professional style, visual design in dress, custom fitting and alteration, and wardrobing for all life-cycle stages. Licensed in the 1970s as Personal/Professional Style Consultants, the company name was later changed to Conselle L.C. in 1989. 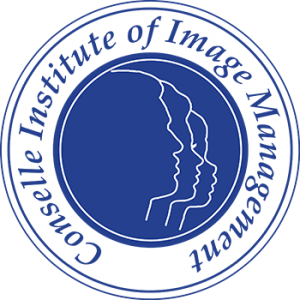 The Conselle Institute of Image Management applied for and earned government status as a post-secondary school in 2000. The Conselle Institute stands for the finest in image information and sets the standard for excellence within the image industry, impacting how people look, think, feel, act and influence, live and work. We are committed to excellence in making valuable, relevant, accurate, and practical image information available in an affordable, enjoyable, and instructional format, empowering people to simplify and manage their lives more effectively. We are committed to authenticity with individuality and self-expression. We are committed to attractiveness with comfort and harmony, and to appropriateness with courage and flexibility. We’re also committed to affordability with quality and durability. We empower individuals and organizations to significantly enhance their brand and increase their performance capability, and empower professional image consultants to succeed in business with proven principles and strategies. We are committed to the highest standards of ethical conduct and personal integrity in all that we do and to appropriate support and confidentiality with each client. We believe that honesty and integrity bring about trust, which is the cornerstone of our business. Conselle will continue to be recognized and respected as a top provider of image education in the field. Specifically, Conselle will provide the most exceptional image education materials, seminars, workshops, consulting, and coaching, thereby empowering clients. We enable clients to achieve personal and professional goals by applying image management strategies in everyday life. Ultimately, we raise awareness of the high value, simplicity, and harmony that image management brings to aspects of everyday life. What Sets Judith Rasband and Affiliates Apart? We advocate the art and act of managing, using, or controlling the use of clothing and grooming aids as resources—tools you can use to help you achieve your goals. We recognize the impact clothing has on you, not just on others, affecting the way you think, feel, act or behave, and then the way others react or respond to you. We know the WHY behind the who, what, when, where, and how-to options. There are no canned responses to clients. We teach common-sense and practical processes that allow you to carry out strategies thoughtfully and easily. Judith Rasband is generally credited with coining the phrase “Image Management Consultant, Specialist, or Professional,” which distinguishes Conselle Institute of Image Management in the marketplace. Many image professionals have now picked up on this designation. This is an honorable and vital identity, particularly in this day of instant gratification and casualization in dress, grooming, and etiquette.